Cosmos is everything I expected to be and so much more. It is educational and informative and great for kids to watch. The scenery is stunning and beautiful does not even start to describe it. The narration is excellent and this series just brought together so many different elements in an awesome fashion. It was a great reminder how how beautiful and huge our universe is. On Blu-Ray and DVD June 10, 2014! In its thirteen episodes, COSMOS: A SPACETIME ODYSSEY has endeavored to bring light to some of the heroes of scientific history who have been unjustly overlooked. In honor of the series’ release on Blu-ray and DVD on June 10, we’re taking a look back at a few of these important forgotten trailblazers. Going against convention, this Dominican friar was vocal in his claim that the earth not only revolved around the sun (a relatively new idea at the time), but that the sun was just another of the countless stars in the sky and there were a multitude of other worlds in the universe. Bruno was burned at the stake for his beliefs, years before he would be proven right by astronomers. An accomplished astronomer, Herschel discovered the planet Uranus along with its two largest moons, was the first to determine the existence of infrared radiation and observed the phenomenon of binary stars caught in the gravitation pull of invisible. Michell was one of the greatest scientific minds of the 18th have never heard of. He was the first person to propose the idea of black holes, the first to hypothesize that earthquakes move in waves and the first to develop a way to make artificial magnets. His biggest downfall was his lack of interest in promoting his own ideas to the scientific community. Not only was Patterson the first to use Uranium-Lead dating to calculate the age of the Earth (4.55 billion years), but in the process he developed new standards for sterile lab conditions and, perhaps most importantly, discovered the growing threat of lead poisoning from industrial sources such as car emissions and paint. His tireless lobbying of the government eventually led to strict sanctions on the use of lead in consumer products by the Environmental Protection Agency that are still in place today. 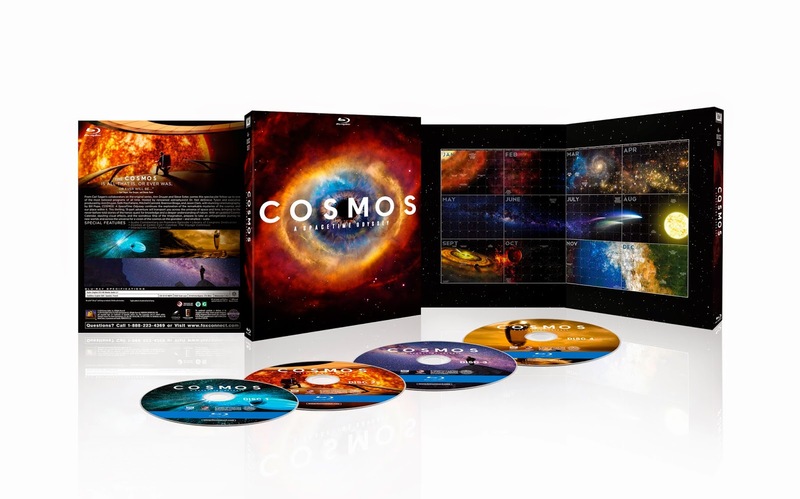 COSMOS: A SPACETIME ODYSSEY is the spectacular follow-up to Carl Sagan’s award-winning series that explored the remarkable mysteries of the cosmos and our place within it. This thrilling, 13- part adventure transports viewers across the universe of space and time, bringing to life never-before-told stories of the heroic quest for knowledge and a deeper understanding of nature. With an updated Cosmic Calendar, dazzling visual effects, and the wondrous Ship of the Imagination, fans will experience an unforgettable journey to new worlds and across the universe for a vision of the cosmos on the grandest and smallest scale.